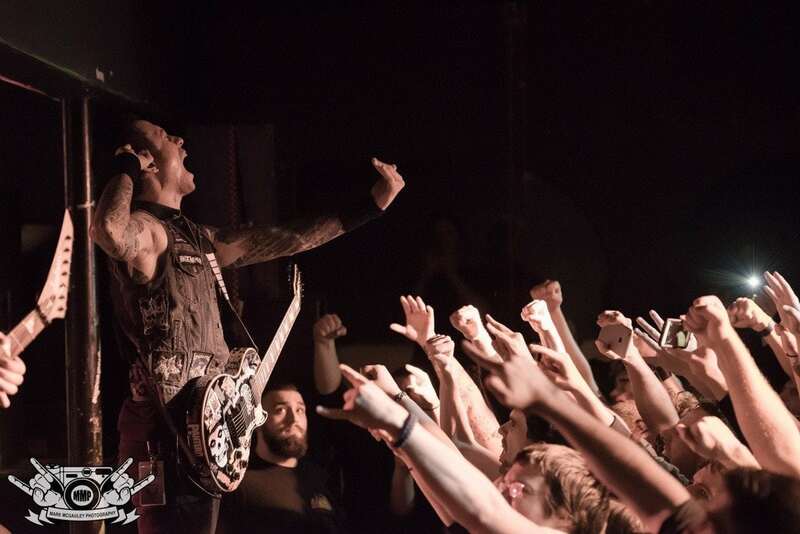 On Saturday, January 16th, Trivium finally returned to Syracuse for the first time in what seemed like ages. Touring behind their latest album Silence In The Snow, Trivium are showing no signs of slowing down after releasing their 7th album. Even though Trivium decided to release Silence In The Snow without any of their trademark screaming, the album is still doing incredibly well. With the increase in radio play and demands, it’s no wonder why the guys in Trivium sold out The Lost Horizon in advance. Prior to Trivium kicking off their winter tour, they went through yet another drummer change. With the announcement of Paul Wandtke taking over as the new drummer, Trivium fans were left asking questions about the new guy. When looking to replace the previous drummer due to creative differences, bassist Paolo Gregoletto and singer Matt Heafy looked to none other than John Petrucci of Dream Theater. Petrucci then brought Dream Theater’s drummer Mike Mangini into the conversation to get some ideas. Mangini recommended Paul who actually studied under him at Berklee. Making his debut at Knotfest in Mexico in early December, Wandtke quickly meshed with the band and has made quite the impact. Throughout the night Matt Heafy addressed the crowd, demanding them to be loud and rude. Heafy didn’t want any silence in the venue, even while he was speaking himself. Paolo Gregoletto was busy throughout the evening keeping the bass riffs going, singing backup vocals and getting up close and person with the crowd. With the barrier only a mere foot away, Paolo, Matt and lead guitar player Corey Beaulieu all took turns leaning into the crowd. Being so close to the crowd helped the band absorb the energy from the fans easily, especially those in the first few rows who could reach out and touch them. The new drummer Paul Wandtke was an absolute animal behind the drum kit. For being the new face in the band, Paul seems to fit in perfectly. The 14 song set seemed easy for Paul who nailed all the parts he needed to while adding his own personal touch in just the right places. Hopefully for Trivium and their fans, this is the last drummer that Trivium will ever need. After ending the show with “Pull Harder on the Strings of Your Martyr” and “In Waves”, Trivium left their fans wanting even more. Hopefully with the response that Trivium got on Saturday night, they realized that they need to come play in Syracuse more often. 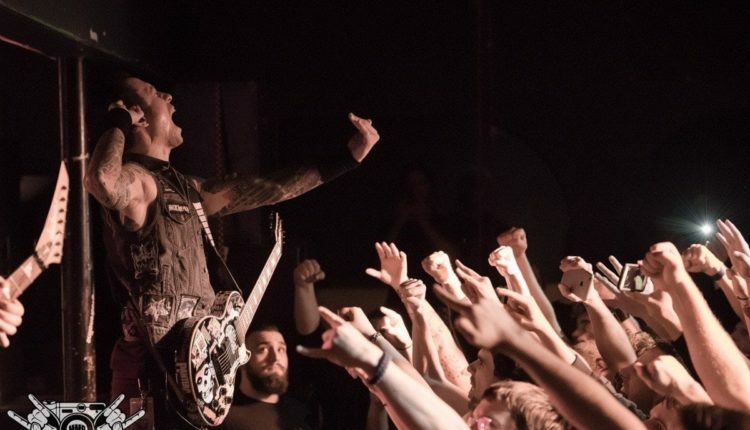 For fans looking to catch Trivium a few more times this year, they can hit up almost any of the major festivals in May such as Carolina Rebellion and New York’s very own Rock N’ Derby. For all Trivium news including tour dates and music, visit their website at here.